Prawns are my absolute favourite. I can have them sauteed with garlic and butter or in a tandoori masala. I love them in my pasta or I make delicious curry with them. Thai, Chinese and Goan. 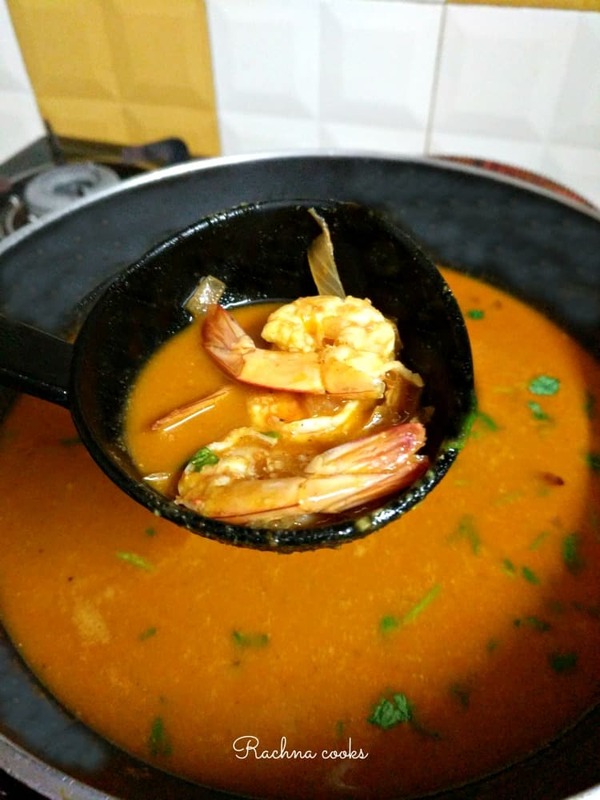 Goan Prawn curry with coconut milk is a recent addition to my prawn recipe repertoire. This prawn curry recipe is really easy to make and is super tasty. What more can you want? 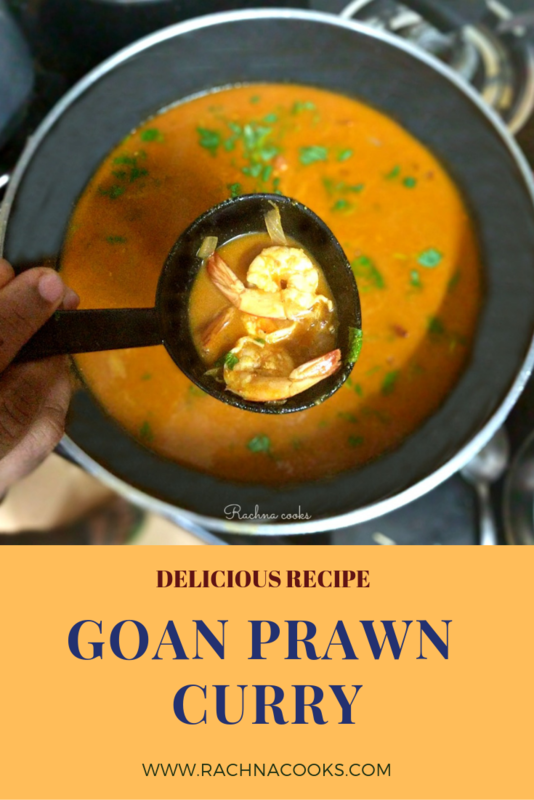 This is an easy Goan Prawn recipe that is really tasty and brings out the delicate taste of prawns well. Goes well with boiled rice. Clean, devein and shell the prawns. I normally keep the tails intact. Now apply some salt and turmeric powder and keep aside for 10 minutes. To make the curry, heat oil in a pan and add chopped onions. Fry till translucent. Add cumin powder, coriander powder, kashmiri red chilli powder, black pepper powder, ginger-garlic paste, tamarind paste and salt to coconut milk. Add spicy coconut milk to the fried onions. Cook for about 5 minutes. Now add the prawns along with kokum juice and salt. Cook for 3-4 minutes on low flame. Taste and adjust seasoning. Garnish with coriander leaves. Serve tangy and spicy Goan Prawn curry hot with split green chillies. To make kokum juice, immerse 3-4 kokum pieces in warm water for about 10-15 minutes. If you can't find kokum use tamarind paste or vinegar in its place. Don't overcook the prawns or they become rubbery. You can add 1/2 cup of coconut paste to the onions to make a thicker gravy. 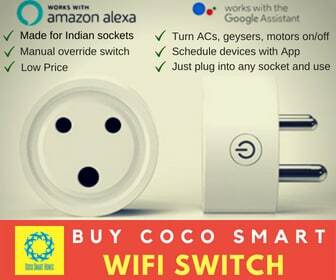 Adjust the heat and spice as per your taste. This recipe is spicy. 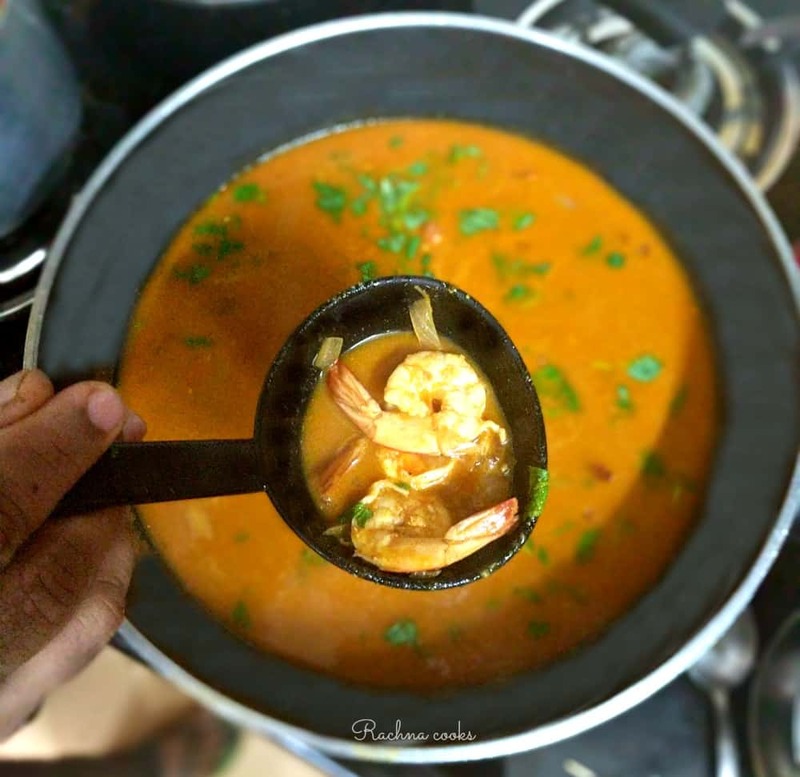 You are going to love this spicy, tangy and delicious Goan Prawn curry recipe, I promise you. Serve it hot with steamed rice. I love Prawn curry, though I have to admit, I mostly eat Manglorean prawn curry. But this looks delicious too. Gotta try! Yep, this is quite delicious too. I love Mangalorean food, BTW!